CNET UK has reviewed a printer from Brother that is targeted at customer wanting a regular laser monochrome printer. The printer is called Brother HL-2240 and is able to print up to 24 pages per minute, or so Brother claims. Let us see what the reviewer thinks about this laser printer. CNET UK ends up giving the HL-2240 an overall score of 4 out of 5 possible stars. On the positive side the reviewer finds the printer to have a low price tag, running costs are pretty low and text print results are very good. There are a few negative points keeping the printer from getting a top score including that graphics prints does not have the best quality on the market. 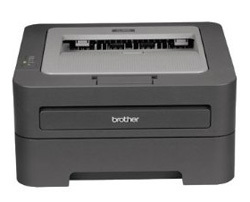 If you are looking for a cheap laser printer that produces good text prints, this Brother printer might be your choice. Read the full review of the Brother HL-2240 mono laser printer here. 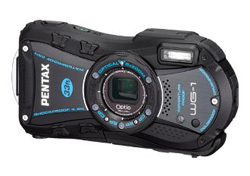 A reviewer from CNET UK has tested the new rugged digital camera Pentax Optio WG-1. The 14 megapixel camera works down to 33 feet under water, is crushproof, handles cold and is shockproof. Let us hear if it is also able to take good photos. CNET UK ends up giving the WG-1 an overall score of 4 out of 5 possible points. On the positive side there are aspects such as rugged design that handles extreme conditions, HD video, HDMI output and the camera is easy to use. The Pentax also has some negative points including that some people might find the design ugly and softness in some images. If Pentax had worked some more on image quality it would get an even better score, but overall it seems like a good rugged camera. Read the full review of the Pentax Optio WG-1 rugged digital camera here. CNET UK has tested a wide format printer from HP. 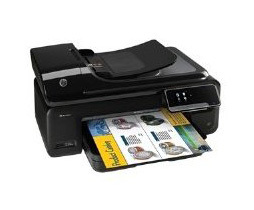 The HP printer is called HP Officejet 7500A and is able to print up to 33 pages per minute, or so HP claims. CNET UK ends up giving the 7500A an overall score of 4.5 stars out of 5 possible. The reviewer finds several positive points with this printer including relatively low printing costs, very good print results when it comes to text prints, useful touchscreen controls and it has wireless printing. On the negative side there are a couple of points including photo prints are not the best and color printing can be a bit slow. If you want to make A3 prints of good quality and does not want to pay a lot of money, this printer from HP might be your choice as it is a good printer with a lot of features. Read the full review of the HP Officejet 7500A Wide Format e-All-in-One printer here. Photography Blog has tested a new digital camera from Olympus. The camera is called Olympus SZ-30MR and comes with a new function called multi-record mode that lets you take still photos while recording video. Photography Blog ends up giving the SZ-30MR a “Recommended” rating with an overall score of 4 stars out of 5 possible. The Olympus camera scores highest features, a little lower on design and value for your money, and lowest on ease of use and image quality. If you are an amateur photographer that want the multi record function, this might be your choice, but if you are more of an enthusiast you might elsewhere because there is little manual controls and no RAW-format with this Olympus digital camera. 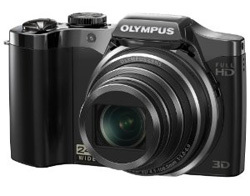 Read the full review of the Olympus SZ-30MR digital camera with multi-recording function here.